Nothing But Fun. Big, New, Fast and Double Lane! Introducing a great double lane combo in our new marble collection designed with an inflatable basketball hoop inside. 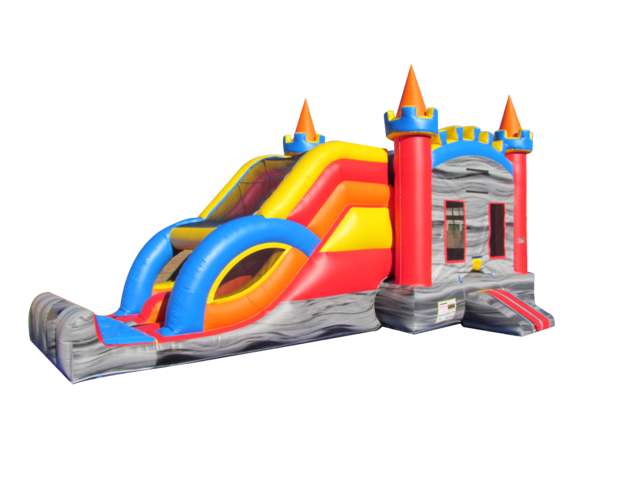 With two individual slides this inflatable bounce and slide combo will make kids feel like they are in a race all day long. One of our most unique designs in this collection.